As it is nearly time for the next Porthmadog Craft Fair on 28.06.14 Porthmadog Craft Event we have spent some time preparing new prints for the show and for our website. 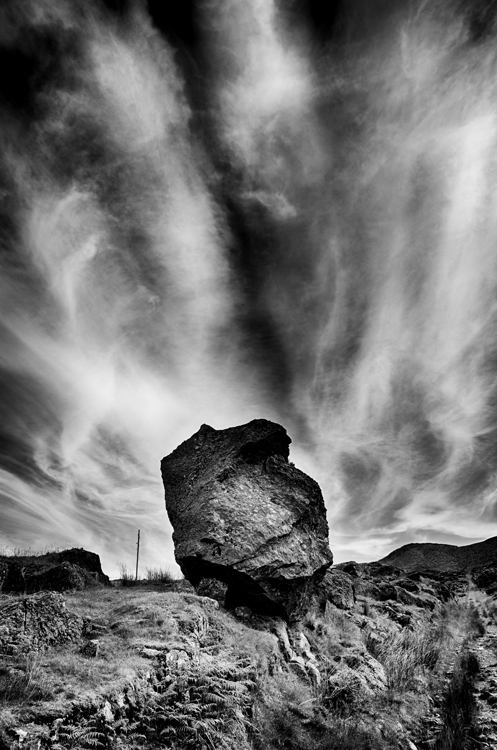 This particular picture was taken for the contrast between the rock and sky and was always envisioned as a black and white image to really bring out the differing textures. Once again if you cannot attend the event our images are for sale on our website Jon March Photographics.